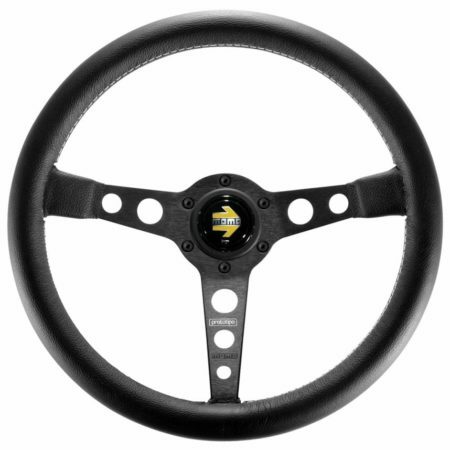 MOMO’s Prototipo is a timeless, classically styled, black leather 3 spoke semi-dished steering wheel. It has recently been re-introduced by MOMO thanks to highly popular demand across the industry. The unit looks fantastic when fitted in most types of vehicles, whether road or racing car use. The unit Fits every standard Momo, OMP, Sparco etc type steering wheel boss kit. Please visit our “Steering Wheel Bosses” category for all stocked options. – Available in black or silver spoked versions.